How to Stream Spotify Music without Ads? Users have two options to listen to music on Spotify, Spotify premium subscribers cost $9.99 per month to get the right of enjoying millions of songs on Spotify and are available to stream music offline (in the period of validity). For the other users who sign up with a free account, they can listen to music but will be interrupted by ads, in addition, they listen to any songs in any order with unlimited track skips only in the 15 personalized playlists chosen for you by Spotify. That is really annoying and disappointing. Is there any way for free users to listen to Spotify songs without ads? Some people may choose to upgrade their account to premium, not only the ads can be removed but also users can enjoy music with higher audio quality. Actually, there is another way to make it come true. 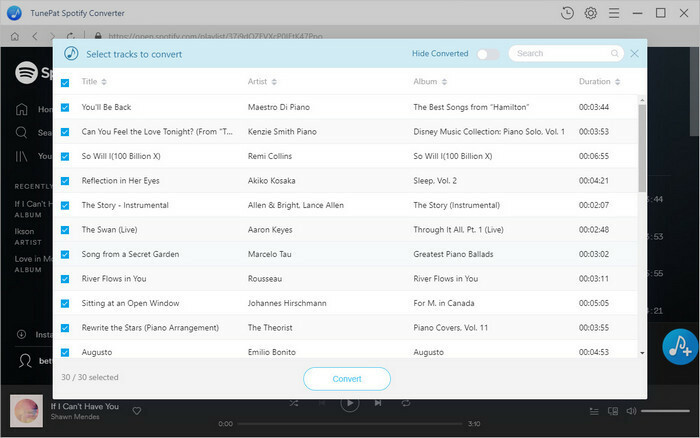 There are many music converters in the market supports to stream Spotify music, and here we would like to introduce an excellent program, called TunePat Spotify Converter, and provide a detailed guidance of how to stream Spotify music and remove ads with this program. What TunePat Spotify Converter Can Do? 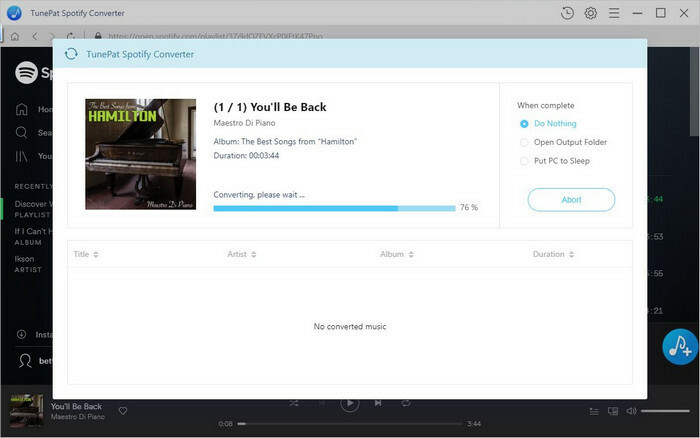 TunePat Spotify Converter is a professional tools to unlock these limitations and convert any Spotify track, album, and playlist to MP3/MAV/FLAC/AAC. This program not only helps free users to remove ads, but also supports premium users to convert Spotify music in batch (once premium users cancel the membership they also cannot listen to the music they have downloaded) with high audio quality. Guide To Convert Spotify With TunePat Spotify Converter. Following is the detailed steps of how to stream Spotify music with the program we recommend, and before starting, please make sure you have downloaded the correct program on your computer. Step 1. Set Output Format before Converting. 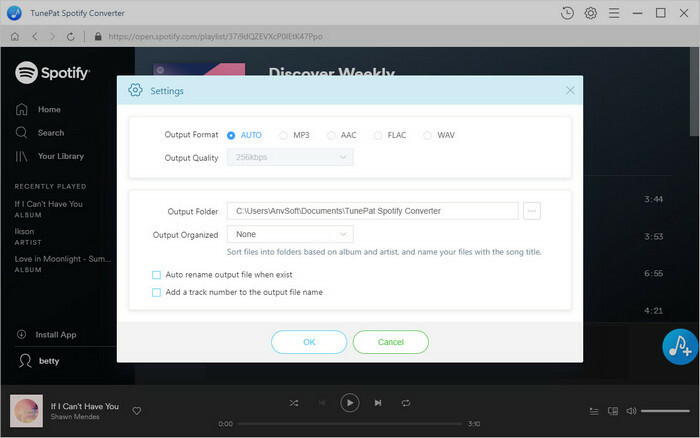 Once open TunePat Spotify Converter, you will access to Spotify web player automatically, so it is no need to install Spotify app individually. Click the button to set the output format and audio quality, customize output files. Select one playlist, artist, or album, click “+” button at the bottom and all of the songs will be selected automatically. Choose what you want to convert and click “Convert” button. Step 3. Start to Convert Songs. When click “Convert” button, Spotify songs will be converted as your demand, and keep the original ID3 tags information after conversion. When everything done you can check the converted music files by clicking the button of clock which represents the converted history. 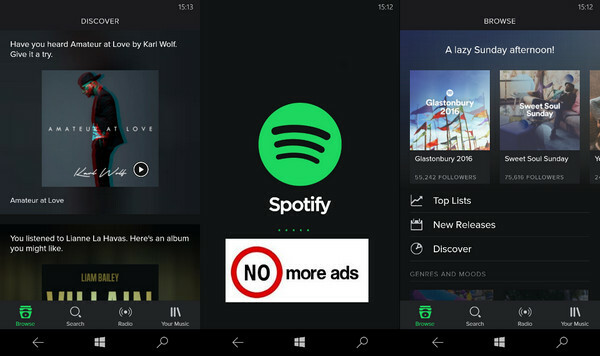 Now you already got the complete songs from Spotify without ads and you can listen to them with no limitations.